Thank you for your message, it's great to hear from you. 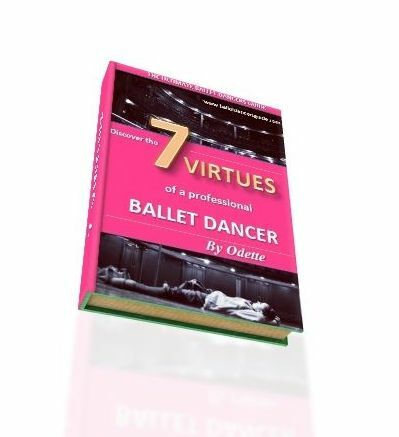 I'm glad you found my website, because I think it will really help you progress more in ballet and give you the advice that will set you above the other girls. Firstly, I think the private lessons you are taking is a great idea. It will give you the chance to have that one-to-one coaching, which is absolutely key to help you improve and focus on what you need to work on. harder. If they started ballet years before you, then of course you will be playing catch up for a while. You can't instantly achieve strength in just a few classes, so you have to remember to be patient but persistent. Soon, you will reach their level (if not better), so you must keep believing in yourself and work 110% in each class. It is good you have this opportunity now to study more in ballet, so look on the positive side and make sure you now get the most of what you can. Try not to think too far ahead, because even in the most promising young dancers who start training as young as 11, it doesn't always happen for them how ever much you plan out. So, instead of stressing out now and being hard on yourelf on what you must do or how quickly you must improve. Take it one class at a time and aim to progress more in each one, so you are building up and up. Then, before you know it you would have improved heaps and maybe not even realised.